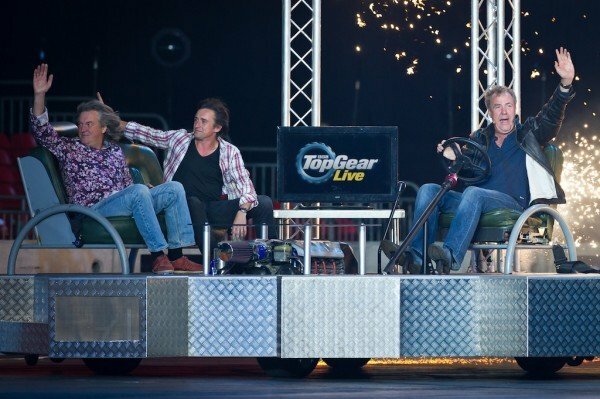 BBC’s Top Gear Live shows due to have been held in Norway next week have been postponed, the broadcaster has announced. All four performances will be rescheduled, with dates later this year to be confirmed within the next two weeks. The announcement comes as an investigation continues into Jeremy Clarkson’s suspension following a “fracas” with Top Gear producer Oisin Tymon. At present, all other Top Gear Live dates will run as scheduled. The BBC said it apologized for the inconvenience and would “endeavor to contact all ticket holders directly to inform them of the change of dates”. Jeremy Clarkson was suspended on March 10 following an alleged altercation with Oisin Tymon. It is understood the postponement of the Norway shows has been announced because organizers wanted to give fans enough notice to cancel travel and accommodation plans and because work to prepare the venue would have needed to start well in advance of the shows. An online petition for Jeremy Clarkson to be reinstated has to date received more than one million signatures. Top Gear is one of the BBC’s most popular and profitable TV shows, with an estimated global audience of 350 million. Jeremy Clarkson and his co-presenters James May and Richard Hammond had been due to renegotiate their contracts with the broadcaster next month.